As I was watching the Community panel at PAX that the Arenanet community team gave I noticed something. After noting a bunch of things I’m not very good at, being more social, talking to people, and working together with others, they began to talk a bit about the social features of Guild Wars 2. An audience member asks a question in the video at 44:18, but I’ll quote. With the technology that is available with different social media outlets, how much of that is going to be apart, or at least as far as your goals, will that technology be apart of Guild Wars 2? And of course he goes on to give examples, but the answer is more important. The thing is I like the idea, I can’t actually tell you if it will be part of the game or not, because I just don’t know. We’re still working on a lot of the social aspects of the game, we’ve talked in the past about our extended experience team. I know other games do it, not just bejeweled but other MMOs out there that actually have Twitter integration and you can share everything, all your achievements on Twitter. I think it’s a good idea if you do it in a non-intrusive way because I’ve seen Twitter streams from people that are just like “I’ve just got this one done in the game and I’ve just got this one done in the game.” And I was just like “that’s great, but I don’t really care.” If you can make the choice as a player to basically share that with your friends then I think it’s actually a nice tool because it gets other people excited as well, but if you do it in a way that is automatically done then that’s not community friendly. Obviously community manager Martkin Kerstein doesn’t actually know what will happen with Twitter or Facebook, but he seems to show a clear understanding of one of my biggest pet peeves with Rift and Twitter. Meaningful interaction is great, but inundating me with your foursquare, Rift achievements, Raptr activity, or which movie and tv shows you’re watching is just spam. If you only have to take a few seconds to stop, access a menu, and confirm that you want to tweet something, that is so much more meaningful. Tweeting every single thing you do just tells me you don’t give a crap, so why should I? Why should I be following you? Why should I put up with this? Why are you tweeting your achievements if even you don’t really care? To be frank I’ve tried both the unbelievably subtle approach and the not so polite strategy to try to get people to stop. Sometimes it has worked and sometimes it has not. Look if I want to know what you’ve been up to, and I haven’t figured that out by reading your blog or seeing you in game, I’ll probably talk to you. No, the Arenanet community team probably doesn’t have much control over the social integration of Guild Wars 2 but I wish they did. Scarlet Gorge was an improvement almost straight away upon entering from Stonefield. The colours were more inviting, the canyon walls soared, the view of the valley looking down on the river, the settlements. There are a few problems with Scarlet Gorge, but it is a big improvement over Stonefield. I think first impressions are important and wandering down that curving trail towards the bottom of the gorge, playing around with an odd quest or two while enjoying the scenery is just what you need at that moment. There are problems of course. I’m pretty much done complaining about Rift quests, but I will say that devising methods for finding the best possible way to avoid aggro while trying to complete quests is not my favourite type of gameplay. Unfortunately there are more than a few places in Scarlet Gorge where this is necessary. There were quests I did like in Scarlet Gorge. They involved the Ancient Wardstones, small interactive markers that give out quests. Having to search for these out of the way locations, use a skill to activate them, and then finish the quest before an invasion party conquers said stone is actually pretty interesting. The only interesting quests in the game seem to revolve around these wardstones. I think the varying time limit (before an invasion party comes along) added a dimension of difficulty beyond your average quest nonsense. It’s too bad you don’t see any Ancient Wardstones before your third zone on the Defiant side. I know there aren’t any in the first zone on Guardian either. In the later parts of Scarlet Gorge things begin to take on a cramped and claustrophobic feeling again, but that was mostly in the PvP areas. I didn’t feel like there was a lot of explanation given that you were moving into an area that is meant to be fought over. It took until I saw a blue Guardian portcullum before I realized something was up. I also thought I was misdirected upon entering the Lift Base to Scarwood Reach. My first reaction was to go up there, complete some quests, and I was sent off to a quest hub in Scarwood. The quests there were a higher level, so I abandoned them and went back to scout out more quests for Scarlet Gorge. Not the most straightforward guidance I’ve ever had in a game but not a disaster. I did like the story to an extent. It’s a bit cliche, slave traders taking the souls of their slaves and installing them in golems to mine for them. Just a straight forward ‘evil men must be stopped’ thing. I kind of thought they should string that out through the entire zone, but aside from the themes there isn’t anything to string the whole zone together. I liked a few of the achievements here too. Finishing all the wardstones, the jumping achievement Lover’s Leap, Knock Them Off Their Perch, Barrel of Laughs. All difficult to find which I suppose is part of the challenge. Finally I do wonder about the choice to have a semi-permanent rift tied to a quest. The whole game centers around them but the important thing about rifts are that they are random and changing. To have a regular quest tied to it means it’s predictable but worse, boring. When I went to do the quest involved with the fire rift in SG, there was nobody around, nobody to help. I suppose it would be strange to have Rift without quests tied to rifts, but I don’t think it really works. Overall I like Scarlet Gorge a bit less than Freemarch or Silverwood. While Scarwood Reach and Stonefield are nothing but gray and boring. It’s impressive to me just how much atmosphere changes my perspective on a zone. I don’t think Scarlet Gorge is anything spectacularly different than Stonefield but just by having more free travel in a few spots, and the soothingly nice looking scenery, I felt a little more comfortable playing there. I like Rift, I do, but I gave up the subscription yesterday since there really isn’t anyone for me to play with. I wasn’t really clicking with the Faeblight guild, and my Byriel guild is heavily focused on vent. I’m heavily focused on logging into vent with some friends, so I didn’t really fit in. 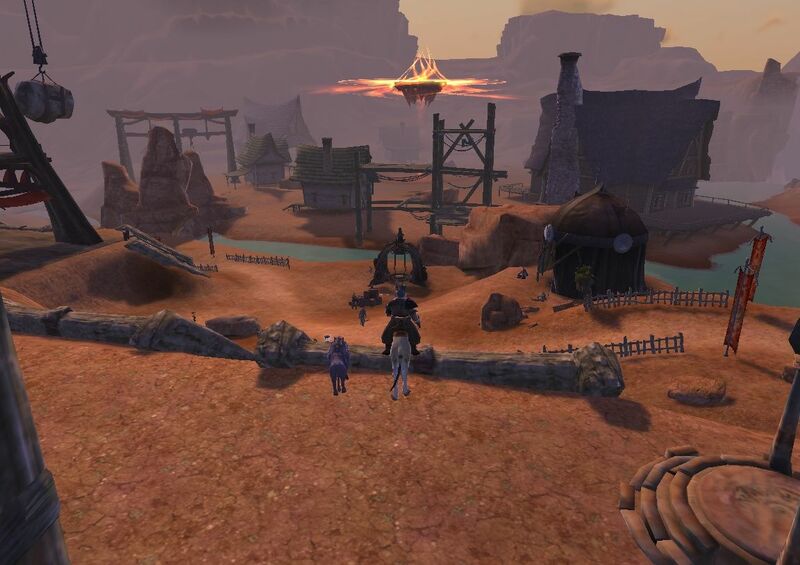 Shatterbone, where I’d spent the most time just didn’t have anyone logging in. It just didn’t make much sense to continue playing by myself. One of my main frustrations I think was getting SourceStones, one of the zone specific currencies. I have a baker’s dozen of SourceShards, but without the Stones, I couldn’t get the gear I wanted. Believe me when I say it wasn’t a lack of participation that was the problem. I waited in zones for hours collecting artifacts, checking rare mob spawns, working on achievements, long after having finished off the quests. When zone invasions did pick up after an update, I participated in many, only to be rewarded with shards instead of stones every time. A lot of the time this happened in Stonefield. Stonefield is the second zone you come to if you’re playing Defiant and it is a disappointment of a follow-up if you ask me. From the first moments even the very direction I was heading felt wrong. You travel generally West, and a bit South. Yet the whole time I felt disorientated and as though I was moving North. The steep crags and gorged mountainsides gave me a claustrophobic feeling throughout. I didn’t like being channeled through narrow ravines or difficult to traverse ridges. The dark grey rock everywhere you looked was depressing, ugly, and repulsive. There is very little to look at here. The main city has some nice waterfalls that roll off the high bluffs of the surrounding mountains. Your first visuals of giants looming over the Quarry Basin camp is impressive. The scene where the Titan comes out of the portal is great. This is also where you’ll see you’re first earth rifts, which look pretty cool as all rifts do. Unfortunately, what else is there to look at in this zone? If it’s one thing I don’t like about Rift it’s the lengths I have to go through to avoid mobs. A lot of older gamers, nursed on EQ or other games that no longer appeal to anyone but them, feel like you’re supposed to be mired in a sea of enemies no matter where you go, not being able to travel more than a couple of steps before having to defeat some new enemy. I don’t like it. Part of being in these games for me is the ability to travel long distances at will. I don’t need to be bogged down by the unfun activities. I want to do what I want, when I want. It’s spoiled, but I’m not paying $15 a month for nothing. In a bunch of places in Stonefield, and in fact most of the game, I have to fight mob after mob just to get to my destination. What is worse is when I have to do quests to kill 6 Trolls, but by virtue of being in the place where I have to kill trolls, I end up killing 20 or 30 anyway. It just feels like such an unnecessary waste of my time as a player. I thought The Last Valley area of the zone was too far off the beaten path. It feels remote and unattached to anything else going on in the zone, even though it’s supposed to be the culmination. The Defiant are researching the power of the Titans and in The Last Valley they actually summon one. Honestly it should have felt more epic or more interesting, but I never felt all that compelled by the storyline. I guess the problem was there just wasn’t that much to it. A couple of quests, some boring text to read and there was little in the way of strategy or difficulty. The Last Valley feels mostly empty. Overall I would say there were too many of the same creatures in Stonefield. Trolls, troglodytes, rock creatures, and that’s about it. If they’re not a quest target they’re a rift creature. I got far too sick of the face of trolls before I was done with Stonefield. There were positive things about Stonefield of course. I liked the idea of the Titans, the lore behind it, even if I didn’t enjoy the related quests. I liked the crypt area and it’s design, even if I’m not a fan of having to kill the undead there until the point of exhaustion. I liked the Titan structures like the well, or the gate. They were grandiose and ancient. The corpse if the Titan was remarkable too, a nice touch. I also liked the large number of rare mobs, virtually guaranteeing you’ll come across one at some point. The rifts are okay, when the population levels are decent. I found that the closer you were to level 20 however, the more outmatched you were by invasions. Something I found consistent in most zones. The moment you enter a new zone at an appropriate level for the content, you were inappropriately leveled for the best part of Rift. In particular I thought the invasions were more interesting in Stonefield than in Freemarch. They were more complicated with different win conditions. Harder bosses and I thought simply by virtue of their being hills and landscapes opposed to Freemarch’s plains, they were more interesting fights. The invasion where you activate experiments is over-powered for the zone it is in, but it’s also pretty fun. Defending the wardstones in another invasion can be a bit challenging when a dozen or more invasion parties show up. I enjoyed invasions here more than in Silverwood, Freemarch, Scarlet Gorge or Scarwood Reach. Even if getting to all the places you needed to go was a pain. I guess Stonefield is a mixed bag. I never want to have to fight another troll again, and certainly the earth rifts don’t help with that, but there are a few positive things. It isn’t just another generic zone exactly, but I couldn’t help but feel that glazed over feeling I got when staring at the gray walls of Fallout 3. There’s something I hope to never experience again. I’ve been playing Rift, and for the most part enjoying myself. While the weary drudgery of questing can be quite monotonous, I am addicted to finding artifacts, tracking down rare mobs, the auction house, and somewhat prone to seeking out rifts. It’s this last part that has become a problem. I’m starting to feel like Belgium over the past 60 or 70 years. Where are my invasions Germany!? 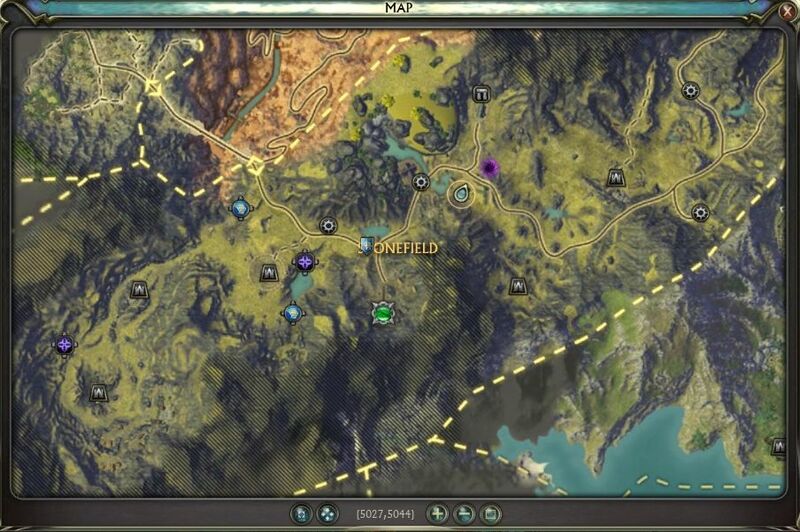 Stonefield and Scarlett Gorge have a few rifts here and there but no invasions. The populations in those zones just do not support invasions. I’ve seen one in my time leveling a character on Defiant Shatterbone, and heard of another’s existence after the fact. Y U NO INVADE ME RIFT!? As a result I’ve racked up multitudes of planarite, about 1300, but no cursed sourceshards or sourcestones. All the planarite in the world to spend and upgrade my gear, and no way to spend it without those two items. For those of you who don’t know, planarite is awarded from all rifts in all zones, but each zone has its own unique currency (a sourceshard and sourcestone) which you use with the planar goods merchants of those zones. Which kind of bothers me because I really like planar and rare planar goods. It can occasionally feel like I’m overpowered in the zone I’m in. Which is pretty cool. Now don’t get me wrong, I know that invasions happen, but they’re so few and far between that it becomes quite frustrating. Invasions shouldn’t come around every 6 or so hours, that’s far too rare. Yet even during peak playing times invasions aren’t appearing in the mid level zones. Invasions are spurred on by player populations. Once populations reach a certain level of activity an invasion is started. Otherwise you’d have too few people to successfully defeat an invasion. The player population seems to be the problem. Immediately after the first free month was up, there was a noticeable drop in population. I’m not the type to report that the sky is falling, it is to be expected that numbers fall off initially. Please don’t bring this up in chat if you’re playing Rift, you might get your head bitten off. The population is fine, everything is fine! I think the invasion mechanic, at least for those zones, needs to be reworked. Invasions need to initiate with lower populations and be appropriately sized. 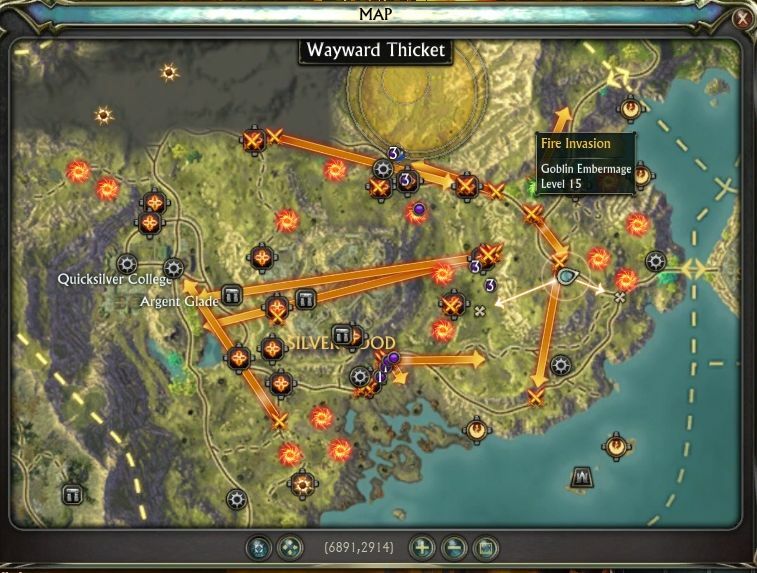 Expecting people to level past those zones to get to zones with invasions is short-sighted to say the least. Expecting people to stick around for hours to get their sourceshards or sourcestones is unreasonable. If I end up leveling out of those zones without getting to spend my planarite, I’m going to be kind of annoyed. Never a good thing with fickle, fickle, MMO fans. All this time playing Rift and I haven’t really shared my experiences or thoughts on rifts specifically. I like rifts, they’re pretty fun. One of the major things that causes Rift to be fun are rifts. I am going to be saying rift so much that it will hurt your eyeballs. If this actually happens please see a doctor. A brief overview of rifts. Rifts come in 6 variations from the planes. They spawn overhead and after a moment, enemies begin to appear below it. When defeated, wave after wave of enemies appears, interspersed with lieutenants, elite mobs, and finally some kind of boss. At first it is very basic, with very little you need to know beyond Kill, Crush, Destroy. Eventually other mechanics begin to appear with bosses that have mechanics, rifts with alternate goals, and other variations. Added to this are invasions, which fill the zone with rifts from one particular plane. If left unchecked, a rift will send groups of a half dozen enemies out to roam the countryside or establish foothold stones. A fire invasion in Silverwood threatens to destroy elven society! I think one of the best things about rifts are their random appearance. They divide up play sessions. If you’re slogging through a particularly boring quest and a rift pops up nearby, it is a welcome diversion. If you’re on a road headed somewhere and run head first into an invasion party, either engaging them or running away can add a moment of excitement. 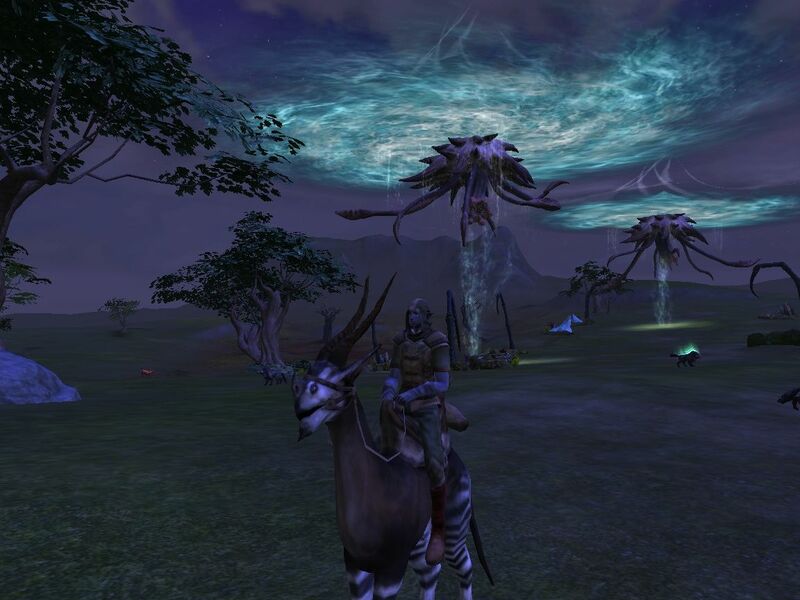 Finding an outpost under attack or a foothold already set up adds to the diverse ways rifts interact with the player. There are a lot of scenarios to keep you busy. They’re not some push over either. You can’t just wander into any rift. You have to make sure you’re of appropriate level, or you’ll just get steam rolled. Even rifts that are near your level can be too much if you don’t have anyone helping to close the rift. In fact I’d go as far as to say that the level of challenge varies wildly. In a large group, no rift is unsealable. By yourself you will likely be squashed. That can be a bit deterring while roaming around. Much of the time I come across a rift, I’ll be the only one there and end up skipping it. If this happens enough you’ll likely end up skipping any rift in the distance you might see. Riding all the way out to a rift that is too dangerous to take on alone while there is no one else around becomes a waste of time. Still if there are a couple of other people, a good rift will be a challenge with good rewards. They can also be a nuisance however. If I’ve spent all day rifting and end up wanting to finish some other task, navigating around a rift can be bothersome. Quite often they can form directly above you as you try to work on a quest. Lengthening out the time it takes to finish off an already tedious task sometimes gets to me. In the case of invasions it is sometimes worse. Dozens of invasion parties roaming the countryside as you try travel to one place from another without aggro can make things difficult. Not to mention trying to hand in a quest while an outpost is occupied or under attack. It kind of necessitates your joining in. Sometimes this is painful, but I admit the majority of the time it isn’t. Invasions are usually quite fun. It makes the whole zone a battlefield that you and dozens of other players can take advantage of. Rushing around in huge zerg parties, crushing foes, and taking on huge bosses is one of the best parts of the game. The scale of some creatures, huge giant trees for instance, gives a sense of epic adventure. Even if you’re not in the mood to participate in the invasion, there are ways to enjoy it. The zone becomes an obstacle course of avoiding enemy rifts and groups. Rift as a game is set up so that not everything is a 100% predictable script, and this leads to ways to have your own fun. Not a sandbox game at all, but at least interesting. I have a few other minor notes, likes and dislikes. I’ve noted before that while the sound is well done, I hate having to hear rifts everywhere I go. The sight of them on the other hand is always welcome. The animation is superbly done as it would have to be. A minor quibble might be that they should be a little more random looking, as each rift of the same type seems to be an exact clone. The rewards are fair and I like the system. Every rift hands out planarite, but each zone hands out some kind of rare planar currency. This zone specific currency can only be traded for goods in that zone. I wish the rifts could be more random. Spend enough time in a zone and you will know where the rifts spawn. Sure there is a great number of places they might do so, but still, I think a random mechanic would have pleased me more. The random timing is well enough of course. For the most part, that is my general impression of rifts. A boon to the gaming world, and while kind of repetitive and at times a bit of hindrance to fun, they certainly make playing Rift worth while. One of my favourite pass times in Rift is artefact collection. If you collect artefacts you find your eyes scanning the horizon no matter what you’re doing, scanning for that telling sparkle or glowing light. It quickly becomes quite an addiction. I think one of the better aspects is finding hidden artefacts, nestled in a hard to see corner, inside a log, underneath a rock or tree. The items themselves shore up parts of the lore, or even provide a laugh. There is a set of crystallized or otherwise special Troll Toenails that I find myself somewhat disgusted by. You are rewarded with Lucky Coins, a currency you can use to buy various cosmetic items, from clothes to pets. I believe you need at least 10 or 20, and I’ve only managed to turn in 5 sets so far. If I was motivated purely by tangible goods I wouldn’t be impressed, but it is always gratifying to come across an artefact you don’t have. There is a feeling of accomplishment, relief, joy. However minor it may be. The problem with collecting full sets is that there appears to be some dozens available in each zone. Quite extensive. 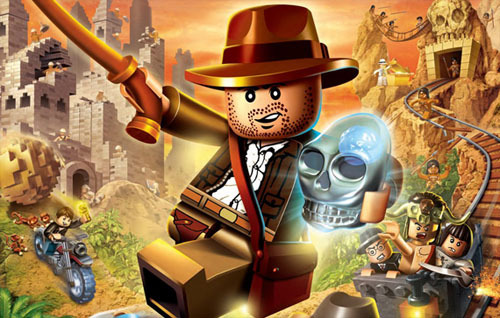 Common artefacts appear to exist only to frustrate the living daylights out of anyone interested in pursuing artefacts, I can’t tell you how many times I’ve picked up something from that damned fish set. I have to wonder just how worth while it is, with time spent versus reward earned, but for now I continue my Indiana Jones style relic hunting. Whoever was in charge of sound in Rift did a commendable job. The sound effects, music, voices, and ambient noise are all well crafted and sound great. So why do I hate the sound so much? Oh I’m just a crank I guess. For me, the sound in Rift is like listening to country music. I know a lot of people like it, it sounds very professional and expensively produced, and I’m sure the people who made it have talent. However I do not wish to listen to country music, it is annoying. Taylor Swift has 4 grammys, how many do you have Spirit Hime!? It’s as though they decided in Rift you should be assaulted by a wall of sound. A constant hum of dense and layered noise. I can’t escape from it. Even turning down all my audio options, sans the master volume, I’m still left with a barrage of unnecessary and irritating amount of noise. I don’t want to listen to the thunderous gallop of my mount, nor his saddlebags jangling with loosely packed inventory. I am a rogue, yet I have to listen to my own footsteps as I run. I can not escape the sounds of a rift. If I am half a zone away, I can hear the nearest rift. If by some chance I manage to make it far enough away to not hear one, an invasion insures that until it is over, I will hear the stormy winds and thunder that note its presence. Well there are sounds in Rift I like. I like the lightning strike and sound when I level up. The voices that pipe up during invasions are amusing, quite over the top in some cases. The sound of another wave of enemies while fighting off a rift is informative, and if you’re not watching your back, hearing enemies yell or cast something at you from behind can be pretty helpful. Nevertheless I am on the verge of doing just that, turning off the sounds of Rift. They leave me little choice. 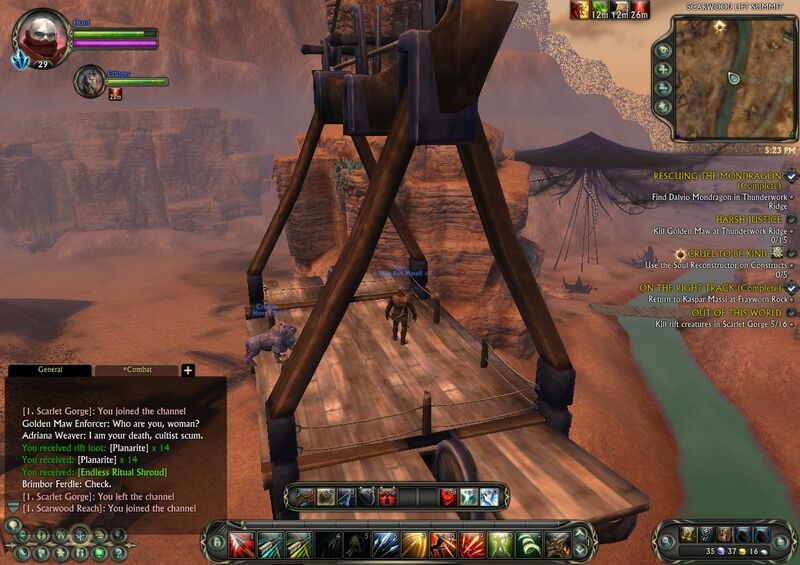 All that hard work, by talented sound designers at Trion, down the drain. All because they couldn’t reign it in just a little bit. Fun, Fun, Fun, which rift will I take? One thing I’ve noticed about Rift is that they failed to make interesting quests. It really bothers me. No special effort went into them. Whether it be writing, objectives, mechanics or implementation, I felt it was all quite lazy. Probably the best thing about them is that the objectives are located beside one another and you can complete multiple boring quests at the same time. If your best argument is that Rebecca Black is no worse than Justin Bieber, then you’ve got yourself a really terrible argument. We are talking about an extremely well funded game company using quest design from at least 7 or 8 years ago. It’s a shocking disappointment for an otherwise well done game. In what other game genre would this be acceptable exactly? 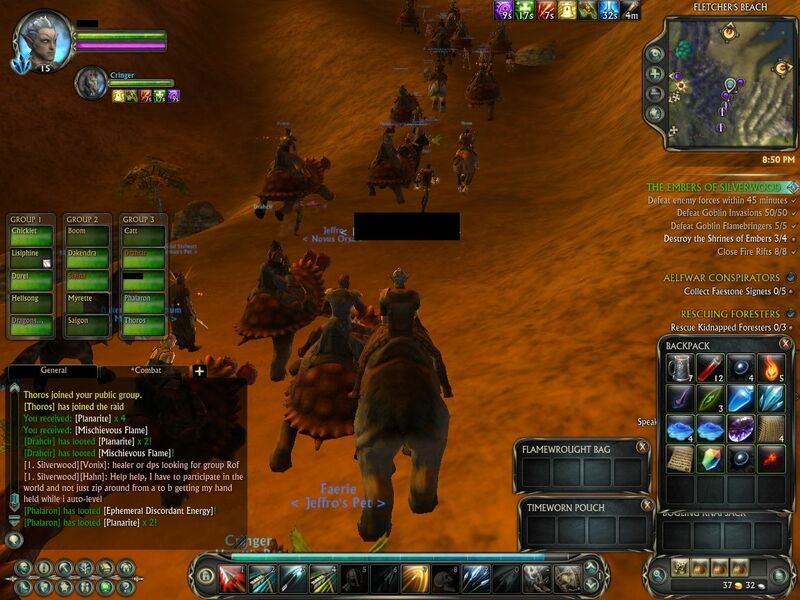 Why are big MMO fans ready and willing to just roll over and accept poor quests? Not just accept it. Defend and even champion it. Flashy? Fast Paced? I’m no expert of course. I’m not sure how I would have made better quests. I might have started with the lore. Except Rift’s lore appears to be cribbed from other games. 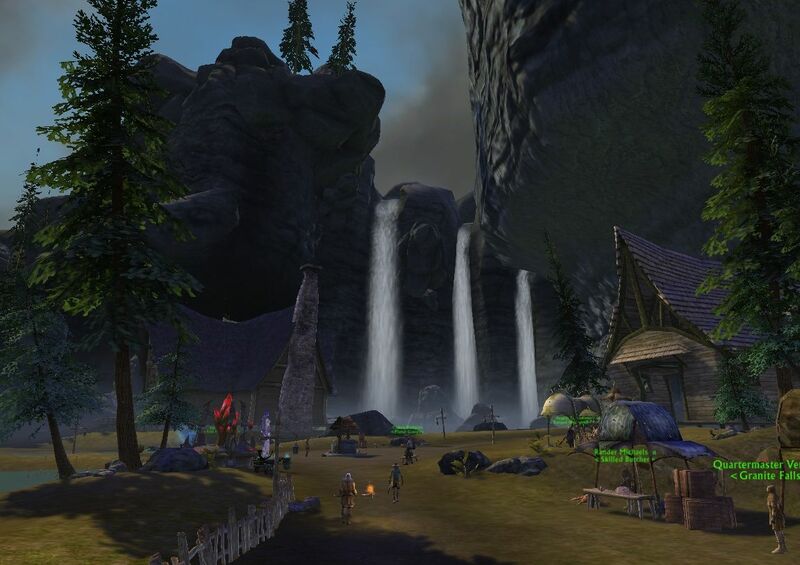 The entire game’s model is taken from World of Warcraft, and everything appears to be shaped in Rift to achieve a very similar lore based antagonistic relationship with the other faction. Only that doesn’t work when you’re just copying somebody else. Rift has good lore ideas, but they are undermined when hammered into a WoW mold. I might have used humour, as some games tend to do. A good laugh can make a quest worth while. I haven’t laughed that much. I can remember one particular quest in Silverwood with Scottie that was quite original and funny. There appear to be 2 or 3 funny quests in a zone. Out of 100. I could make my quests more difficult or more intricate. A boss that requires skill to defeat, a complicated quest solution that requires thinking, quests that need you to work and cooperate with others. How about anything that requires more thought than just killing 6 of these. There is none of this in Rift. There is no variety. I take issue with the very foundation of their arguments, that Rift quests are no worse than other games. I think they are worse. They don’t have lore, humour, or variety going for them when most games have at least one of these. Their quality is perhaps improved by the art, noise, (most of all) rifts, and whatever else breaks up the game. If this game did not have rifts, I wonder how much people would be defending the quest system then? That’s probably my most important point. Try imagining Rift with no rifts. You are left with a quest system that no one would praise. Perhaps I am being too harsh. There are rifts, and art, and whatever else and they do break up the monotony of the quests. It is an enjoyable game, I will be subscribing. I would even recommend the game despite the quests. I guess this post is about one thing only. I don’t see why you would spend any time at all defending the quests. Trion didn’t put in the effort, neither should you. 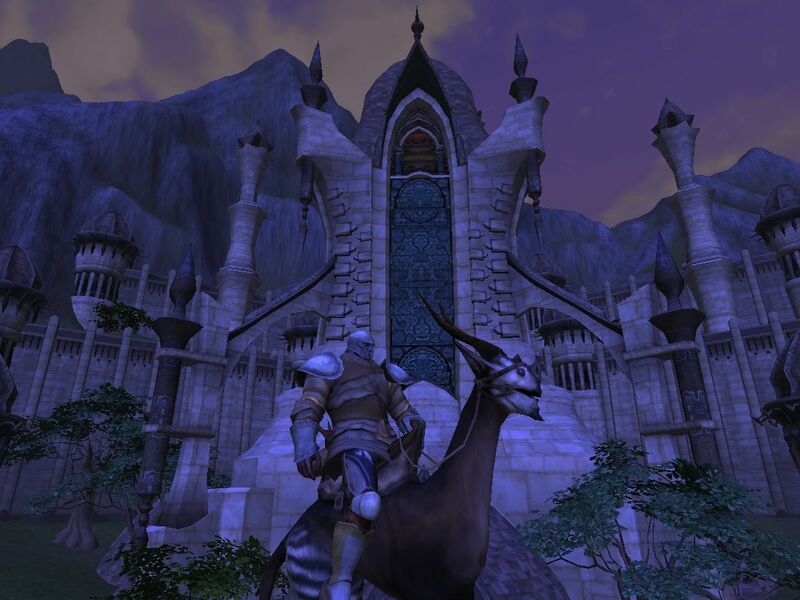 I’ve read blogs about MMOs for years now, lurked, left comments under various aliases, all while mostly playing MMOs that nobody ever blogged about. Guild Wars or a plethora of free to play or supposedly free to play games. One thing you’ll notice right away is that there is pretty much a constant stream of negativity. It’s easier to write about what bothers you than what pleasures you I suppose. Last year, ScaryBooster took action against such negativity by instituting something he calls Developer Appreciation Week. It was his opinion that developers tend to take a lot of abuse from bloggers, and perhaps some counter weight could be added to the mix. In honor of DAW I thought I’d add some praise. First of all I’d like to thank and give kudos to the Guild Wars Live Team. John Stumme and the unsung other developers currently working on the game have lately breathed quite a bit of life into the game. After the Eye Of The North expansion was released, it felt like there was little to look forward to. That changed with Linsey Murdock pushing forward with things like War in Kryta. 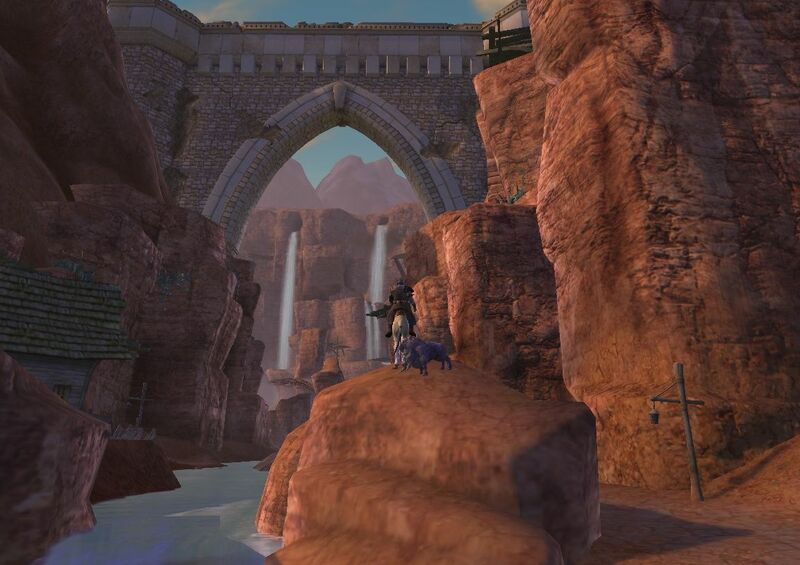 Without such new content, there would have been little reason for me to get back into Guild Wars, and connect or reconnect with a lot of Guild Wars friends. I’ll also give a brief shout out to the team that put together the War In Kryta viral campaign to promote it. It drew me in and I was quite impressed. 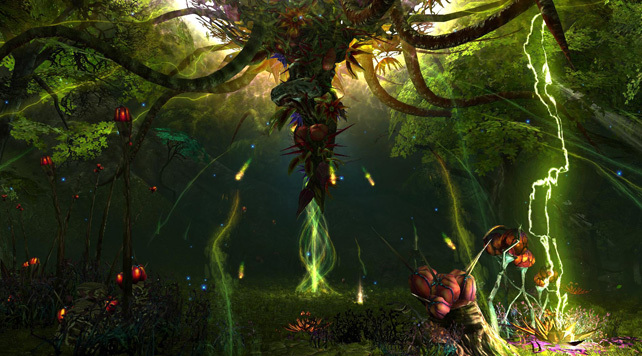 I’m not sure who at Arenanet can be particularly credited with designing it, my impression was the community team (and if I recall correctly from Regina Buenaobra’s blog, she had a particular fascination with ARG’s) but in any case it was a good job. Of course, how could I even attempt to appreciate developers on my primarily Guild Wars 2 blog, without addressing Guild Wars 2 developers. I’m glad Arenanet is trying to be different. Trying new things. Innovating. A lot of the MMO blogosphere (ugh shoot me for using that word) sees something different and just craps all over it. Screw those guys. I like everything that you’re doing. I like the story, lore, skills, events, weapon systems, traits, activities, skill effects, underwater, dungeons, jumping, armour, crafting, and transmutation stones. I like the emphasis on everything from the art down to needing a mathematical equation to figure out how many different colours I can dye something. I like that they had the balls to say their own game (Guild Wars which has sold something like nearly 7 million copies) just wasn’t good enough. I like all that stuff and the game isn’t even out yet. So to Mike O’Brien and everyone underneath him, thanks. I appreciate it. I should probably move on to non-Arenanet developers. Thank you Bioware for making the best game I played in 2010, Mass Effect 2. I can not believe how much I love and appreciate that game. I literally know next to nothing about Bioware developers by name, but I know one thing. They know how implement, visualize, and write a story. Part of what makes me anticipate Star Wars: The Old Republic so much is Bioware’s other work. I can leave any misgivings, any hesitation, any thoughts of dread that perhaps SWTOR might not be any good, at the door because Bioware is so reliable. Even if I only end up enjoying the story for a few months, it will be well worth the time and money. I’d also like to acknowledge Trion. There is plenty to like about Rift and I give full credit to the studio for attempting, and succeeding, at new things. Rifts are a well thought out and completely realized concept. The game as a whole is very well polished, I haven’t encountered a bug of any kind. Indeed, much of the game is beautiful and a pleasure to play. I must say Scott Hartsman’s reputation rose considerably with me. Back to crapping on the games I play in the next post. I’ve been playing Rift on three different servers, getting a different experience for the most part on each. Two are defiant, so there are a few similarities, but the guilds I’m in are wildly different. The guardian side of things has it’s own challenges to deal with and yet somehow on all three characters I’ve made it to about level 20. Shatterbone, Guardian side. Sanctum in the background. On my guardian character I’ve joined up to a guild of Guild Wars players. Unfortunately for me they seem to be pretty casual. Or worse, they’ve already lost interest in the game. I’ve only ever logged in while 2 or 3 other people were online, and 2/3rds of the guild haven’t logged in for a while. That’s a damn shame because my guardian ranger is my favourite character. I like his DPS, his pet, his abilities. Cringer has always been the pet name of choice for me, it’s like the best pet name ever. Google it. I’ve done more rifts on this character than on any other. Truly ranged dps has an advantage over other classes in rifts because I can change targets quickly to ensure I get as much credit as possible for a rift. I also lucked out by choosing ranger and marksman as my first two souls, even though I had no idea what I was doing. They seem to work really well together at this stage. Tigerfeet was saying she likes her Saboteur because she could kill stuff quickly. I found as my third soul it just got left out of the soul point party. The other draw back for my Ranger/Marksman so far is that I don’t seem to have any long term buffs at all to speak of. I think the rifts may be more fun on the guardian side, at least in the early zone anyway. There are massive tree vindicators as tall as skyscrapers, and the first major town, Argent Glade, feels like it actually needs to be protected. It’s the site of a college and a porticullum. There are tons of NPCs and it feels like a town. There are rifts constantly sending invasion forces there. Countless battles are waged just outside the walls, or often, inside. My rogue bladedancer / assassin / riftstalker is a fair diversion from my ranger. It’s got the long term buffs I want, and the DPS. There are some nifty things for letting me complete some of the more mundane quests or achievements like stealth, or my stealth fox. I can escape things easily with my Shadow Shift that moves me forward 15 meters, and if that doesn’t work I have sidesteps, to dodge attacks. I still feel like I haven’t figured out the optimum soul point build for my bladedancer, but then, I feel the same way about all my characters. I’ve just been feeling things out as I go, so I’m sure I’ll have to redistribute everything at some point. Freemarch is a plain, and while I find a great deal of the plains to be pretty boring that doesn’t mean it’s all so. There is much more to the coastal areas here, than in Silverwood, and the rocky cliffs or the central mountain area both provide some relief from flatness. And hey, how many games have a generally flat open plain motif? I’ve never been particularly impressed by the rifts in Freemarch. The abyssal creatures don’t seem to measure up to the vindicators, but I won’t say I’ve experienced everything of course. I do like that Meridian is much more centrally located compared to Sanctum, and was a little confused that the Porticullum wasn’t included in the game until about a week after launch. It’s difficult to say which side has better quests, because the quest system in Rift is so god awful. I say god awful but it’s no different than 99% of other MMOs. The same FedEx, KTR, Collect, and use such and such a generic quest item on such and such a generic mob/object. I need to come up with a short version of that last one. Quest Use Item To Instigate Terminus? In any case, you play Rift for the rifts. Or the artifacts. Or the achievements. Or anything really as long as its not the quests. My guild on this server is probably my most active. They are pretty much all level 50 and on a mission. Driven. They’re my old friends from Runes of Magic who I’ve mentioned on occasion. They’re main goal in rift is to become the best geared guild on the server, and for some of them, it is serious business. That’s a whole other post unfortunately. My warrior on Faeblight is perhaps my least favourite class. I’ve gone with reaver, void knight, and warlord. While there are definitely some interesting tactics I could pick and choose from, it’s just not my style. Mixing a bunch of conditions and effects, DoTs and other chained abilities with a tank, just isn’t working for me. Killing takes too long, even the pace of each blow annoys me. I can stand in the fire if I want, but I just feel so sluggish. Which is a shame because out of the guilds I’m in, I have the most fun on Faeblight. During the week things can be a bit slow, but it’s a nice compromise between my shatterbone and byriel guilds. I’ve also grouped up more, chatted more, and aside from some nagging haven’t experienced anything negative. I kind of wish I could have my guild on Faeblight with the activity of my guild on Byriel, and my character and zone from Shatterbone. I dread starting a fourth character to rectify this problem. My warrior is also the only character I’ve done a dungeon on, and finished all my epic quests on, at least in Freemarch. Joining up with a random group was a good experience for both, and we apparently had a really good pace during the dungeon. I have to say though it wasn’t particularly memorable. Maybe my lighting is too low but I found it to be just another dark crypt type dungeon with no particularly memorable boss battles or fun quests. With the ease of the dungeon, mostly thanks to our slightly higher level tank, we didn’t have much trouble at all and I was bored. And so those are my general impression of the first 20 levels of Rift. 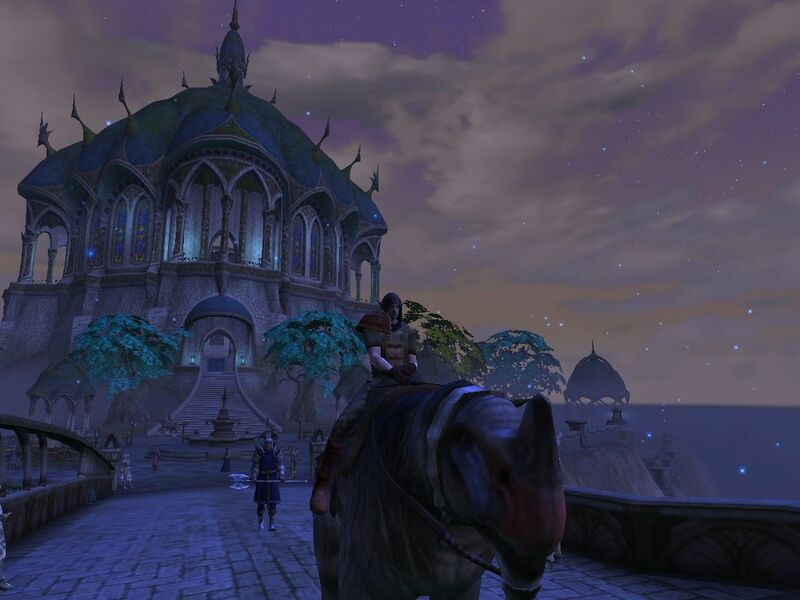 It’s a mixed bag but I think there is more positive than negative for MMO fans. The only thing I have a true gripe about are the quests. I’ll have more specific likes and dislikes in the future.